23 April is turning out to be an extremely busy day as far as celebrations are concerned. Not only are the English and Catalonians, to name a few, celebrating St George’s Day, we are also celebrating Shakespeare’s birthday and World English Language Day. 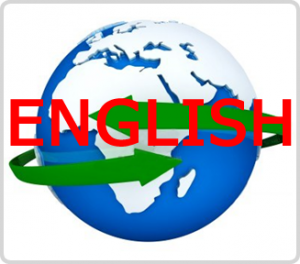 World English Language day has been celebrated on the 23rd of April each year since 2010, in conjunction with the birthday anniversary of William Shakespeare. The history of the language can be dated as far back as the 5th Century AD when three Germanic tribes, Angles, Saxons and Jutes came to England and displaced the Celtic language that was spoken. The invasion of the Vikings, as well as the influence of Latin, caused the language to evolve further, and contributed a substantial amount of the vocabulary used today. This continued evolution has led to English being the second most used language in the world. While the impact of invasions and the effect of other languages have had a significant influence on the language, it is without question that advancements in technology have played a vital role in the development of the language. The invention of the printing press led to greater availability of books and allowed the public to experience newspapers and the timeless works of Daniel Defoe and William Shakespeare. Radio contributed to the spread of the language during modern wartimes, while it could be strongly argued that the invention of television was a major factor in the increased use of English as a second language in the 1950s. In this interactive timeline we have sought to celebrate the development of the language through the influence of technology. There are some who argue that the more recent influence of social media and the internet has led to a “dumbing down” of the language, while others believe that they have helped to spread the language further across the globe. While there will always be contrasting opinions on the negatives and positives regarding the influence of technology, without it, English would not be as widely used and spoken as it is today. The English language is constantly changing and evolving. This evolution has been aided significantly by the ever changing world of technology. While there are those that argue that the influence of technology has “dumbed down” the language, there are others who would claim that a language that does not evolve, is a dying language.